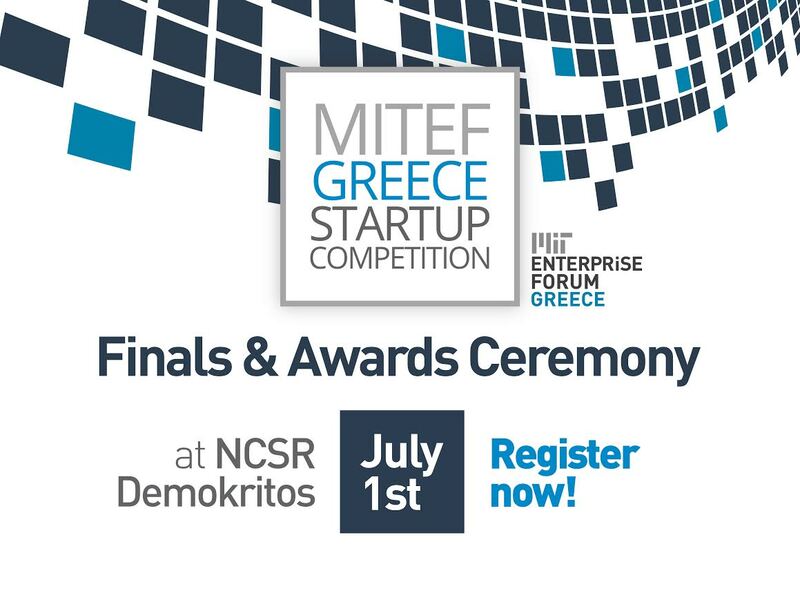 MIT Enterprise Forum Greece in cooperation with NCSR “DEMOKRITOS” have the pleasure of inviting you to the Final Judging & Award Ceremony of the MITEF Greece Startup Competition, staged during the 3rd Hellenic Forum for Science, Technology and Innovation, on Wednesday 1 July 2015, at 18:00 at the Central Amphitheater of NCSR “Demokritos”. The MITEF Greece Startup Competition is a technology accelerating competition in which Greek technology entrepreneurs compete for prizes and global recognition that will further their startup goals. During the event the top 10 finalists of the competition, which were recently selected by an international panel, will pitch live to our high-profile experts, which will select the winner and 2 runner-ups. Furthermore, MITEF Greece’s invited speakers, Theodora Koullias, Founder & CEO of Jon Lou, and Marc Filerman, Accelerator Executive at CIMIT, will share experiences from their work and discuss the opportunities that innovative technology creates for the entrepreneurial ecosystem.The evening will draw to a close with a light cocktail reception celebrating the winners and all participants of the MITEF Greece Startup Competition. Admission is free but advance registration is required as places are limited.